A little under a year ago The London Economic exposed that billionaire entrepreneur Sir James Dyson was planning to create hundreds of jobs in Asia after promising Brits in June 2016 that “we will create more wealth and more jobs by being outside the EU”. The piece sparked a hysterical response from the firm’s PR officers. “No way are we moving jobs to Asia”, they said, we’re a “British company committed to investing in Britain”. And so we retreated. Slightly. But as David Lammy posted shortly after the firm announced that it is to move its headquarters from the UK to Singapore – “Don’t listen to their words, watch what they do”. Dyson said before the referendum that Remain claims that British exports would fall if we quit the union was “absolute cobblers”, saying Britain would actually be £18.5 billion better off every year if voters back Brexit. More recently he said a no-deal Brexit “will not change anything” in an interview with Parisian financial newspaper Les Echos, advocating that Britain should walk away from negotiations. But his words came just days before Dyson chose to build their first electric car in Singapore in a blow to UK manufacturing. The company committed £2 billion to the project that will take roots in one of the most expensive territories in the world where space for manufacturing is at a premium, with top officers echoing the same old nonsense that the decision had “nothing to do with Brexit” – sentiment which is increasingly falling on deaf ears. Jacob Rees-Mogg has launched two investment funds in Dublin that will invariably profit from an emerging markets portfolio. 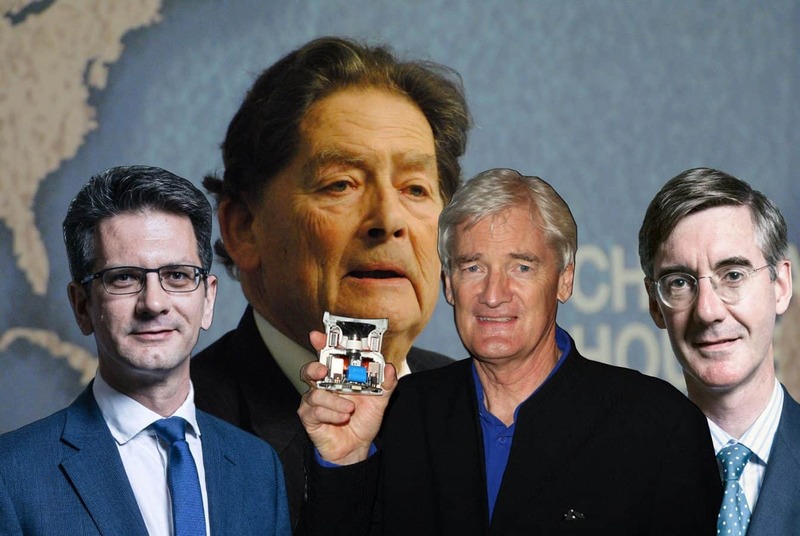 John Redwood has advised investors to avoid Britain as the country’s economy “hits the brakes”, ex Brexit minister Steve Baker invested £70k in a firm that sells gold to avoid the Brexit impact and Vote Leave chairman Nigel Lawson is applying for an official French residency card. It goes to show its high time we stop listening to the Brexit hypocrites – their words should mean nothing to us now.